Does my blog content have to be original? So you have a great blog post in mind, or a resource you want to create for your core client group. The problem is, one of your proofreading or editing colleagues has already tackled the issue. What do you do? For clarity, let’s think of one piece of content that would be a good contender for a blog post and downloadable PDF cheat sheet. Lots of editors and proofreaders work with academics – students, teachers and researchers – and these clients’ publishers. Many of those academics will be dab hands at citations and referencing. Their subject’s preferred style manual will be like an old friend. But what about the beginner – like the student submitting to a journal for the first time – or the experienced scholar who’s asked to create references according to an unfamiliar style guide? Some of the best-known academic style manuals are overwhelming. And that’s why people turn to the search engines for solutions – summary cheat sheets that break the guidance down into accessible chunks. I put the phrase ‘APA style summary’ into Google. There were just under 15 million results. Who got there first? Probably not the American Psychological Association. So, if nearly 15 million people have already created this content, including some of your colleagues, why should you? She needs to find a proofreader with experience of the social sciences. Her university insists that a third party cannot style citations and references on her behalf. Nevertheless, she needs someone who’ll spot a mistake. She needs to learn how to style her citations and reference list according to APA guidelines as per her university’s submission guidelines. First, she heads for a professional editorial directory. From it, she selects ten proofreaders and visits their websites. They all have similar experience and training. All ten proofreaders therefore solve the first problem. Right now, her problem is whom to choose. Next, she heads to Google to solve the second problem. The sixth edition of the Publication Manual of the American Psychological Association costs just over £22 in 2017 and stretches to 272 pages. She is up to her neck in student-loan debt as it is … and 272 pages? Surely there’s some free guidance online. ​Remember those 15 million results I mentioned above? Now she has to sift through just a teeny-tiny bit of that. Now her problem is not whom to choose but whether you’re available. That in itself is a good enough reason to get yourself a copy of the Publication Manual of the American Psychological Association (or any other style manual that your target clients use) and get busy creating blog posts and complementary summary resources. That someone else has done it already is not the issue. That you’re solving the problems of people who’ve bothered to visit your website is. It’s likely you’re being compared with others, so demonstrating wider knowledge and being helpful adds value to what you bring to the table and makes you stand out. Most of our clients don’t have one problem (say, finding an editor). They have a stack of problems. The more you can solve, the longer they’ll stay. I’m told that Google gives brownie points to websites that are lingered on, but even if it didn’t, every minute a potential client is on your website is a minute they’re not on your competitor’s. That’s another minute of engagement, another minute’s worth of trust, another minute where they might visit the Get a Quote or Contact page. Of course, there’s an alternative. Back to our Master’s student. You’re one of the ten proofreaders she selected. She also needs help with APA citation and referencing. Your website tells her all about what a brilliant proofreader you are. You want to help her with APA styling. But you don’t want to create a summary because your lovely colleague Josie Proofreader has already done something similar. Instead, you kindly put in a big fat link to Josie’s website so that your potential client can access this fabulous resource. The client skips over to Josie, sees that she’s also a brilliant proofreader, and promptly forgets the ten she was previously considering (including you). After all, Josie is so helpful, so knowledgeable – her site’s like a one-stop shop. Now her problem is whether Josie is available. There’s nothing wrong with linking to colleagues’ sites (links to relevant websites are good for SEO) but when it comes to the really helpful, substantive, stand-out, problem-solving stuff, that should be on your site – written by you, in your voice, your style, and with your branding on it. There are some types of content that I don’t feel comfortable creating. For example, I’m a specialist sentence-level editor so I’m not the best person to give advice on developmental editing conundrums. That doesn’t mean I don’t want that content on my website, though – for all the reasons outlined above. Their content helps to keep my readers on my website – that’s a win for me. My readers are made aware of my contributors’ expertise – that’s a win for them. And I and my contributors get high-quality inbound/outbound links to our websites – that’s a win for all of us. Every time we host a guest we have the potential to enrich the quality of the content on our own sites. 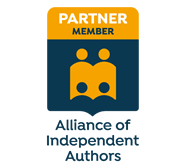 I’ve written for other people too: The Publishing Training Centre, the Society for Editors and Proofreaders, BookMachine, Society of English-language professionals in the Netherlands, An American Editor, and several editor colleagues. Every time we write for others we expand our audience reach via theirs. This may appear to contradict my earlier advice about keeping your own content on your own site. My approach is me-first, me-most. Most of the content on my site has been created by me and demonstrates my skills and my willingness to be helpful. However, curation and reciprocity have their roles – you give a little, you take a little. It’s editorial content backscratching!